It will come as no surprise to you that the birthplace of Mozart is brimming with culture. Salzburg’s Old Town is a perfect jewel of a city, filled with spectacular baroque architecture, and with the Hohensalzburg Fortress perched majestically above it. The castle is a must visit for the views of the Alps alone, and it holds within its walls a tantalising glimpse of medieval life. The city is compact enough that you can easily explore it on foot and dive into its many cafés and restaurants. You can visit the main sights in a weekend, and still make time for some lesser-known spots – here are three interesting, alternative picks we recommend. The Museum der Moderne. Photo by Heather Cowper. Most visitors will flock to famous landmarks such as Mozart’s birthplace, and make time for a Sound of Music tour. While these are of course worth seeing and doing, you might be surprised by some other equally impressive things to do in Salzburg that can be overlooked. The Museum der Moderne is one example. 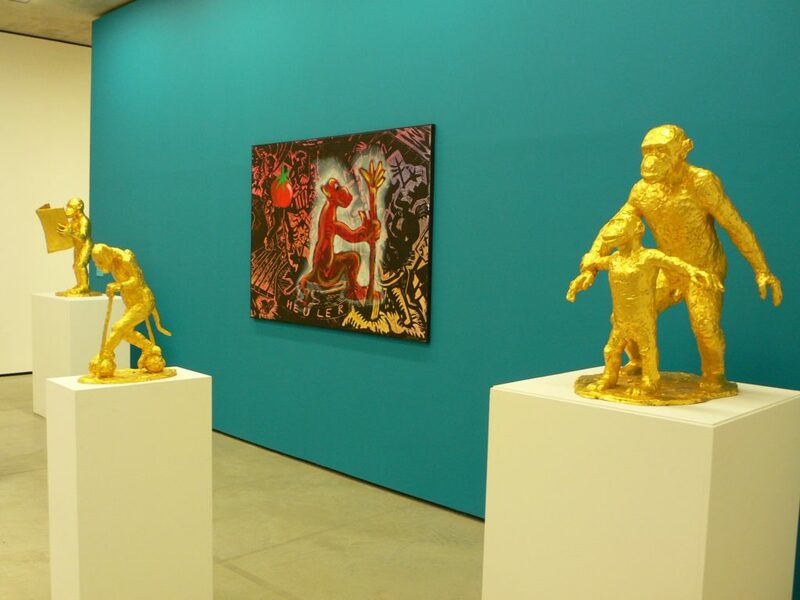 The museum is located over two venues, and you’ll find vivid, thought-provoking exhibitions of 20th- and 21st-century art at both. The main marble-clad and glass building is also a great place to enjoy views of the Old Town on a clear day, especially in the morning. The bold, contemporary structure, located high on the Mönchsberg directly above the Old Town, offers a striking contrast to the ornate buildings of the rest of the city. There are a number of guided tours and kids’ workshops on offer – great if you’re visiting with a family. Photo courtesy of Café Würfel Zucker. 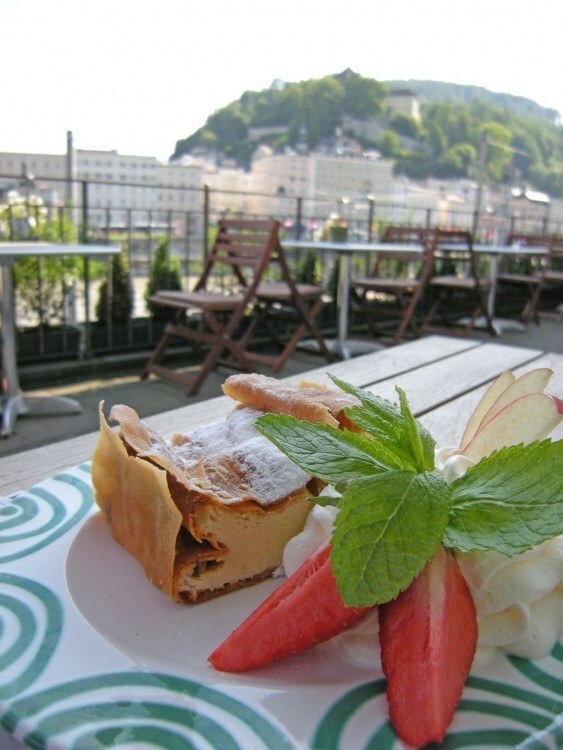 Sipping a coffee or tucking into a strudel is one of the most enjoyable things to do in Salzburg, and café Würfel Zucker is one of the most delightful places to do it. Situated moments from Getreidegasse’s charming shops in the centre of the Old Town, it makes an ideal place to pause after some shopping. The café serves breakfast all day, but you won’t want to miss the homemade strudel either. Something of a local’s favourite, the café is family-run gem that is often bypassed by the the crowds, so you can relax and enjoy a chat with the owners more often than not. It’s a perfect glimpse into everyday Salzburg life. Many of Salzburg’s restaurants are as historic as the sights, serving hearty schnitzel dishes in wood-panelled dining halls. However, you’ll also find some very innovative places to eat. SENNS is one such restaurant in Salzburg that is pushing the gastronomic frontier, and has been awarded two Michelin stars for its efforts. Located a little outside of the city itself, it’s certainly worth the trip. 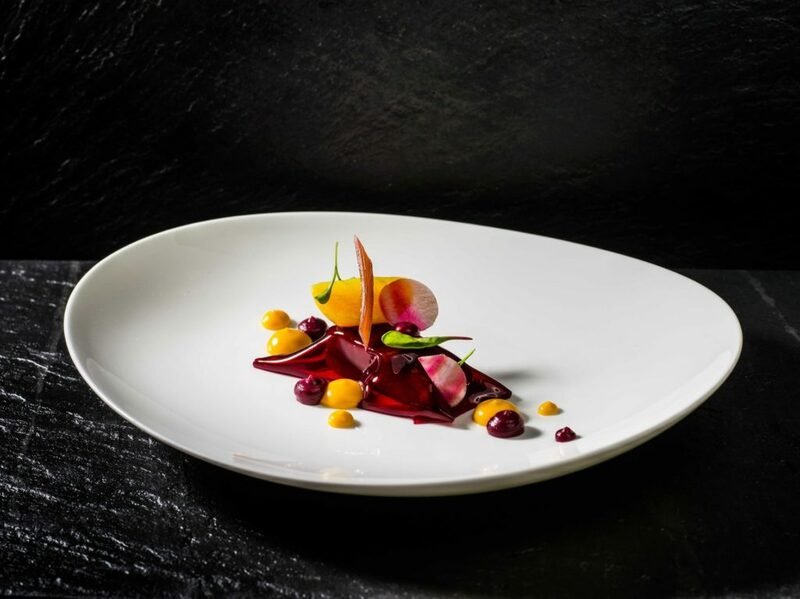 Visually stunning dishes taste as vivacious as they look. Multi-course tasting menus include succulent short-rib Wagyu beef, and the salty perfection of black cod with miso and pickled cucumber. While the food is the main event, the surroundings are no less impressive. Deep stone and earth tones are highlighted with gold and lilac to create a refined, luxurious look. It’s modern dining at its finest. Make sure you book in advance, as tables are in high demand.